Canadian politician flips out during Parliament Assembly in response to the Trump administration’s policy of separating migrants from their children after crossing the border illegally. 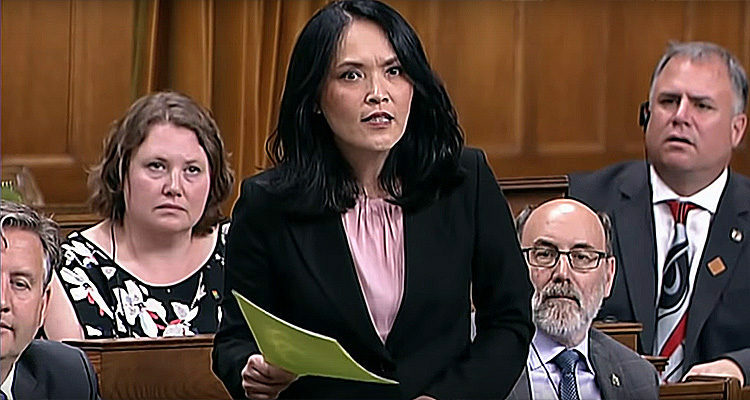 Canadian Member of Parliament Jenny Kwan spoke out against the Trump administration’s “zero-tolerance” immigration policy, which has led to separation of over 2000 migrant children from their parents. Speaking before an assembly of the Canadian Parliament, Kwan railed against Trump. “The United States is forcibly separating migrant children from their parents when they enter the U.S. to claim asylum,” she began. “So does the Prime Minister still really believe that the United States is still a Safe Third Country?” she asked. “Will the Prime Minister stand up for migrant children and suspend the Safe Third Country Agreement?” she asked.